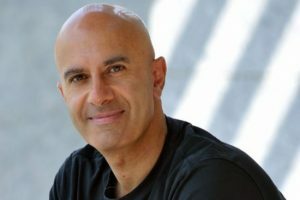 Author of the bestseller The Monk who Sold His Ferrari, Robin Sharma, has said Indian philosophy and values have great influence on him and his success as an author. “My father is from Kashmir so I was raised with Indian values. In fact, our home was filled with books on Indian philosophy. I adore the country for its varied cultures, art, food and people. So when I came down to Mumbai, it will it always feels very very special for me stop,” he told Delhi Times in an interview.